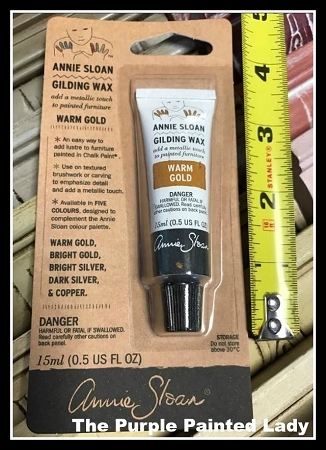 Annie Sloan Gilding Wax is available in five metallic colors that were designed to complement the Annie Sloan Colour Palette. Gilding Wax can be painted directly onto plaster, wood, or surfaces painted in Chalk Paint®. 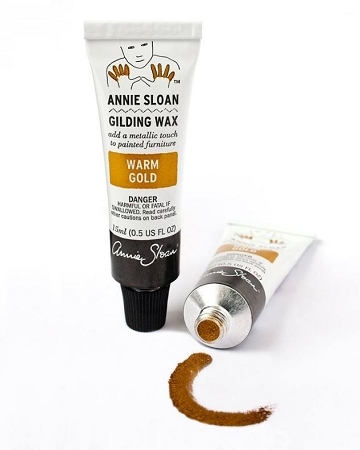 Annie's new Gilding Waxes will go over a waxed surface quite nicely. They are nice and creamy and go on easily with a finger or a brush. Also the smart packaging of using tubes keep the wax from drying out too quickly. Colors can be intermixed for a custom color. Experiment and have fun!